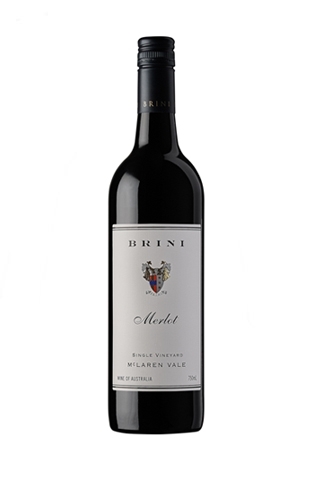 The Brini Merlot exhibits a vibrant deep red colour, aromas of plum, juicy blackcurrants with a wisp of mellow oak. Plum liquorice and vanilla mingling with mulberry notes on the rich full palate, textured with silky tannins. A generous spicy ripe fruit finish lingering yet restrained. This is liquid decadence - smooth and velvety ripe fruit but on a cool south facing block of vines. The Shiraz rounds it out and I think this has a whiff of Petrus about it. Sumptuous!